Scheduled to come out in the winter of 2018, the release of the 2019 Toyota RAV4 has been much anticipated by drivers and critics alike. For months, photos, details, and rumors have been spread surrounding the features of this new SUV, and while we still don’t have all the latest stats, there is enough information available to get Toyota lovers everywhere excited. From the few details we have, it seems that the 2019 Toyota RAV4 is shaping up to be another best-selling crowd favorite SUV for Toyota. From its new edgy design and intuitive entertainment technology to its unmatched suite of standard and available safety features, this small SUV is sure to please an even wider audience of drivers than its previous years' model. The Toyota RAV4 has always been incredibly affordable and fuel efficient, combine these attributes with all of the standard onboard tech of the 2019 model and you have the makings of an impressively valuable SUV. The 2019 Toyota RAV4 even comes available with a Hybrid powertrain to further increase its efficiency and environmental friendliness. While the Hybrid powertrain features a 2.5L 4-Cylinder engine paired with an Electronically-Controlled Continuously-Variable Transmission (ECVT), the non-hybrid model offers a 2.5L 4-cylinder engine with an 8-speed transmission. Both powertrains feature improved and highly-responsive handling, which is further enhanced by the cabins quiet atmosphere and increased visibility. Overall, the 2019 Toyota RAV4 appeals to the adventurer in all of us with its bold styling, more aggressive stance, and enhanced off-road capabilities. If you’re looking for a small SUV that is both convenient and safe yet still edgy and intuitive, you’ll find it in the 2019 Toyota RAV4. Although you’ll have to wait till the winter to explore this SUV in person, we’ve gathered the must-know details consumers have been waiting to learn about the 2019 Toyota RAV4. To further improve the ride of on and off-road adventures, the 2019 Toyota RAV4 also features multi-link rear suspension, improved handling, a noise canceling cabin, and an overall more aerodynamic design. The combination of these components help make the 2019 Toyota RAV4 the ultimate vehicle for all of your off-road adventures, no matter what type of weather or terrain you may face. If you’re going for a more sporty look, you’ll want to choose the XSE Hybrid trim level which offers two-tone exterior color options including a black roof paired with your choice of one of three paint colors. Meanwhile, the interior of this trim comes standard in a sleek dark black color. No matter what trim level you choose, you can feel confident that the 2019 Toyota RAV4 is going to stand out on the streets. Even the base trim screams edgy, bold, and refined, while trim levels like the XSE Hybrid and Adventure truly take the RAV4 to the next level. Outside of its infotainment system, the 2019 Toyota RAV4 also features USB ports, wireless charging, and an impressive sound system which can be added. This available system is an all-new JBL, 11-speaker sound system which truly revolutionizes the way drivers and passengers listen to music on the road. This is largely due to its included Subwoofer, front and rear door speakers, as well as its advanced Clari-Fi Technology which makes automatic adjustments to ensure clear and precise audio. Drivers looking to upgrade the standard multimedia system can choose the available Entune 3.0 Audio Plus with the 8-inch touchscreen display and SiriusXM Radio or even the Entune 3.0 Premium Audio with Navigation. Overall, the 2019 Toyota RAV4 is already exciting critics and consumers with what it will have to offer in the way of advanced entertainment technology upon its arrival on the market. Even the most tech-savvy drivers are lining up to get their hands on this SUVs 2019 technology suite. Just by looking at this extensive list of advanced safety technology, you can tell that the 2019 Toyota RAV4 is a vehicle that prioritizes the safety of its drivers and passengers. Consumers who plan to transport passengers on a regular basis or hit the streets for a long ride on the weekends will feel confident in the security of this SUV. Another aspect of what makes the 2019 Toyota RAV4 is its user-friendly design of the interior. For the 2019 model, the Electronic Parking Brake has been moved to the center console for improved accessibility and several knobs have been redesigned for easier use. Throughout the cabin, small compartments are available to allow for plenty of storage for your smaller belongings. Overall, it is evident that engineers designed the 2019 Toyota RAV4 with comfort, convenience, and efficiency. 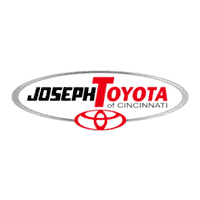 At Joseph Toyota, we strive to be your one-stop-shop for all of your automotive needs. From the moment you step onto our esteemed lot, you’ll be greeted by a member our helpful sales staff who is eager to answer of all your questions, listen to your vehicle needs, and help you find your perfect match. After you’ve chosen your ideal vehicle, the finance experts of Joseph Toyota will help you secure financing that fits into your lifestyle and budget. Worried about where you’ll go for post-purchase maintenance and repairs? The Service Center at Joseph Toyota has the experience and knowledge to handle anything from a basic oil change to complex parts replacements. Not sure if you’re interested in purchasing a new, used, or certified pre-owned vehicle? We’re here to help! And the team at Joseph Toyota will help you determine the right avenue to take in the purchase of your new or new-to-you vehicle. Whether you decide on a new, used, or CPO vehicle, we’ll have the inventory to suit your needs. So, when it comes time to begin your car-buying process, be sure to visit Joseph Toyota for premium customer service and high-quality vehicles!